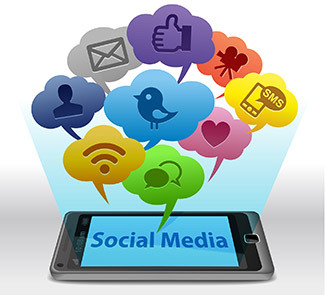 Social media and social media marketing strategies open up a whole new portal to help businesses connect with potential customers. It also also helps improve website rankings, drawing in even more new customers via the website. With several different social media packages to choose from to fit bespoke needs and budgets, JH can make a difference to most businesses of all sizes. We offer a wide range of tailored social media packages and recognise the necessity for an on-line presence to grow alongside the business. That means implementing proven techniques and useful tools for on-line businesses. Leave SM to us – and free up time for dedication to other areas of the business. For start-ups, it is important understand the difference between social media for personal use and social media for business. Our team know what to post, what to tweet, and just how and when to use each tactic to ensure effective results. As well as blogging and posting, we make sure social media pages are linked around the web to niche website, articles, and other pages that potential customers will be visiting. The more links pointing back to the website, the more prolific web-pages will be. To increase links, rankings, and potential to excel in the world of on-line business, please let our team take care of your campaign. Learn along the way with JH’s training courses or simply allow us to get on with the project.